Tech world has witnessed an increase in numbers of compact system camera models and systems available in market which started to get an increasing market share. What is the right price for a compact system camera? This question is obviously very important if you are a user and are going to buy a camera. You will need to compare the prices of different types and models of cameras and discern the one that suits you the most. In this case, the chief contention usually arises between two types of cameras – DSLRs and compact system camera. The thing is that compact system cameras may definitely perform better at times than their older cousins, DSLRs. But this advantages pales when we see the huge price difference between the two. While mirrorless cameras bring the added advantage of being less heavy and smaller in size, their price tags are still too hefty to be justified at times. A number of camera vendors tend to believe that users value performance of a camera and its dimensions equally. What they are basically saying is that if you are buying a camera, you would see how good it performs as well as its weight and size. That may be true to an extent but to say that both factors are equally important is quite wrong. Many users prefer buying a heavier camera for a lower price that has a good image performance compared to a camera that weighs less, performs a little better but costs a lot more. 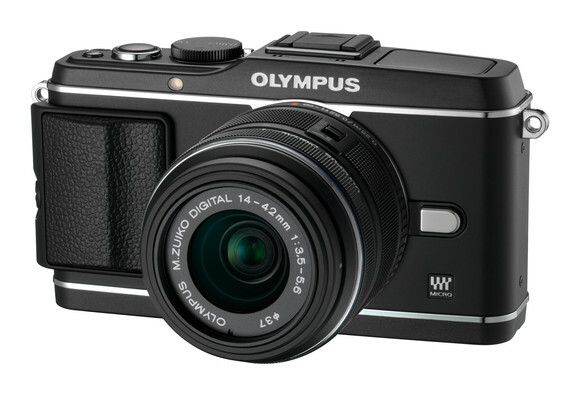 Just consider this example: a 16mp mirrorless Olympus OM-D EM-5 micro four thirds compact system camera costs a whopping $1100 while a 24mp DSLR Nikon D3200 goes for $700. The Olympus OM-D EM-5 compact system camera definitely has an edge over D3200 in certain aspects but at times, both perform equally good. In fact, D3200 may beat OM-D in certain instances. The difference between the two, then, is essentially the body and lens size (due to fact there is no mirror). The Nikon D3200 is somewhat larger and weighs more while the Olympus OM-D EM-5 compact system camera has been trimmed to better weight and size. But then again, would a user want to pay a good $400 extra bucks for lower weight and smaller size? It would seem that the vendors of mirrorless cameras are making the mistake of thinking that users would value appearances and performance equally. That certainly doesn’t seem to be the case. With the mirrorless cameras coming with high price tags, consumers are increasingly drawn to the older DSLRs, even when mirrorless cameras hold more promise and potential. The chief bone of contention is the money. What should camera makers do to increase sales and awareness of their compact system camera offerings? So if companies churning our mirrorless cameras really want to take over DSLRs and gain traction in the tech world, they really need to think in more competitive terms and try to trim down the prices of the hardware they offer. A lot of users simply wouldn’t go for a mirrorless camera which comes in more than $1000 solely because of its body. Physical dimensions definitely matter and compact system cameras have an advantage there but they may sway a user for a $100 USD or so difference, not more. It is about time camera vendors understand this and shape their marketing and pricing strategy accordingly in order to make a compact system camera attractive. 2 Responses to How Much Should a Compact System Camera Cost? IMHO there is a market for expensive MFT cameras, the OMD’s sales figures support this. I for one am willing to fork out extra cash for a compact system camera that is of the highest quality and has a good selection of lenses and a future that looks promising. Others may have different needs or wants but the sales figures suggest I am not the only one who is willing to hand over the cash for a good mirrorless. As the saying goes the best camera is the one that you have with you, sure a Leica S2 or a Hasselblad takes awesome pictures but if I don’t have it in my hands when the perfect shot comes up what good is it? Also when doing portraits or modelling shoots a smaller camera is less intimidating for the subject. A tiny GH2 or an OMD is the perfect camera for situations where size is important, and trust me, size is important!